Lack of lubrication puts additional strain on the garage door leading to premature failure. 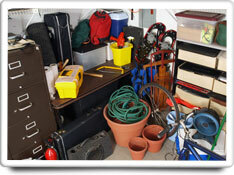 For attached garages, poor weather-stripping or leaky windows cause heat losses which increase energy costs. NOTE: The tasks and timings shown here for your Garage are based on a single-family home (owned), located in Massachusetts, United States, with priority set at ‘1 star' or higher, for all possible goals. If you set your personalization differently in your Home Wizard app, then you may get reminders for different tasks and timings in your recommended home care program for your Garage. Clean the tracks, rollers and hinges. Since oiled tracks collect dirt, clean the tracks, rollers, and hinges with a rag dampened in paint thinner. With the door in the down position, apply penetrating oil to the tracks, rollers and hinges. Wipe away any excess oil with a paper towel or rag. Inspect bolts and screw to ensure all are properly tightened and secured. Check the mechanical components (chains, pulleys, rollers, hinges, etc.) for signs of excessive wear. Check for loose putty around windows. Inspect weather-stripping at the bottom of the door to ensure it makes a tight seal when the door is closed. Note: Garage door springs are under great tension. Use extreme caution. The benefits of this task are extending the useful lives of your garage doors, and energy efficiency. The cost of this task is moderately high from an investment of time standpoint. Depending on the number of garage doors that you have, this task could take several hours to do properly.